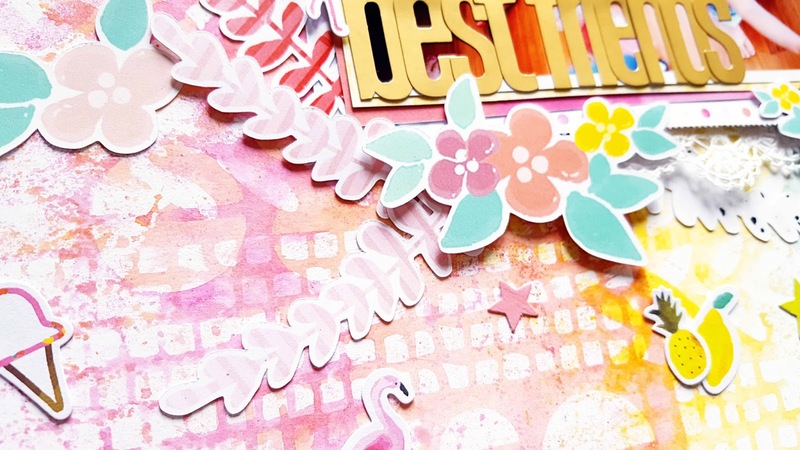 I used a Dina Wakley stencil called mini favorites and Coloringz in Pink Stilettos, Pretty in Pink, Scarlet's Fever, Don't Citron Me, Well Blue Me Down, Heidi Ho Blue and Sunset Strip Vibez to create the background. 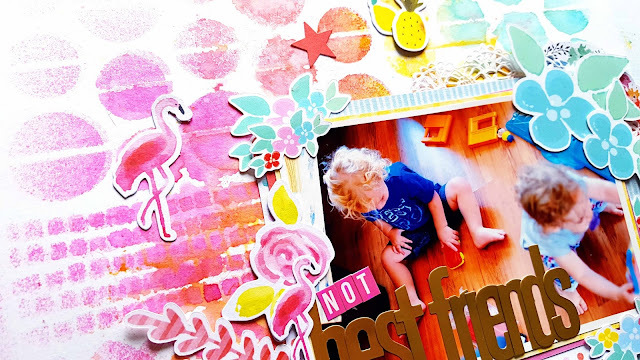 This is such an easy and effective way of creating a lovely colorful background for your layouts, cards or art journal. 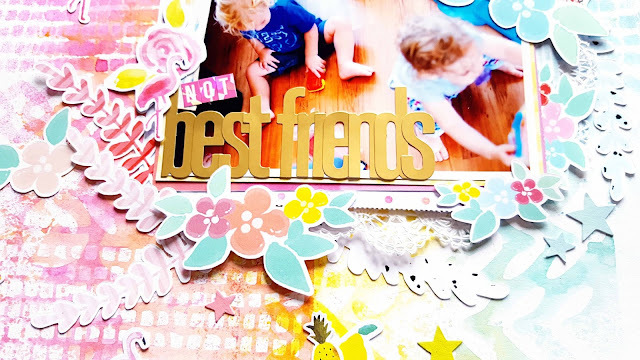 Don't forget to watch the video tutorial I created and see exactly how I made this! 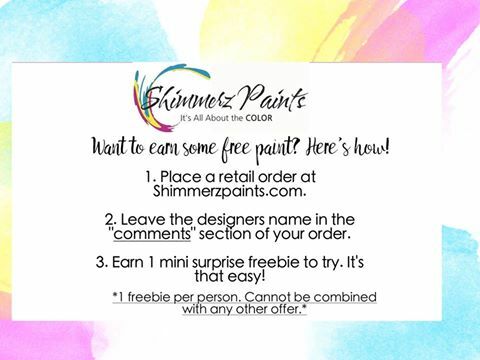 Mention my name when placing an order on the Shimmerz website and receive a freebie!